This lovely wooden board is hand painted with a blue sky over green hills scene and has two metal brackets for attaching to a wall or door. 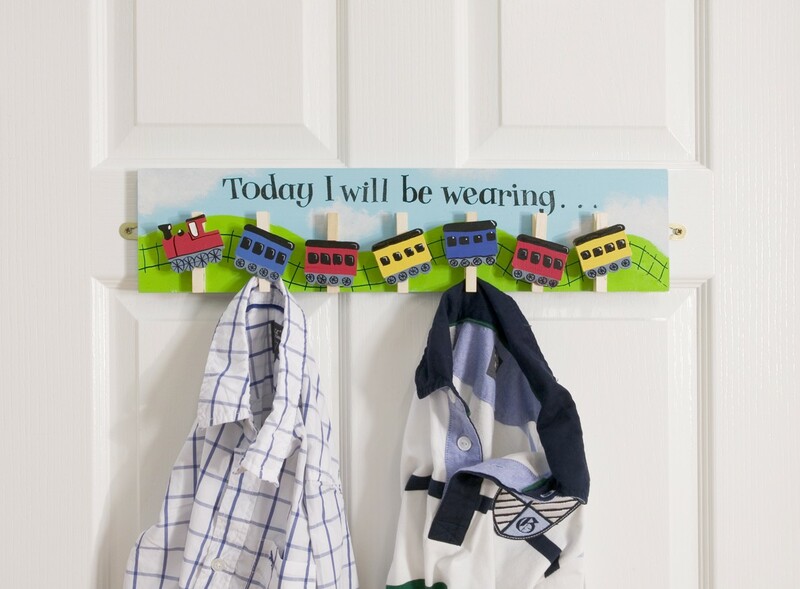 The front of the board has seven pegs decorated with a red train and coloured carriages, for hanging clothes. 'Today I will be wearing...' is written across the top in black letters. A novel and delighful way of planning and helping a little boy to get dressed in the morning.